Boostober Sale! Kicking off with 10% off ALL Hahn RaceCraft Products for SlingshotInfo members! Every year, as the cool fall air rolls into our world, our boosted machines take on a new, more aggressive personality. They start picking up lots of serious power that the heat of Summer took away, and now comes your chance to pick up lots of serious BOOSTOBER deals*! That's right, we like to call this powerfully cool month BOOSTOBER, and we like to celebrate it by sharing the fun. 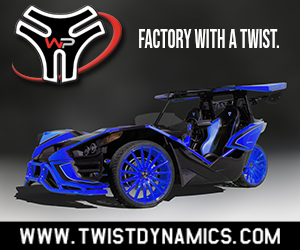 We're going to kick off BOOSTOBER with 10% off ANYTHING for SlingshotInfo forum members, from suspension to SST TurboSystems and more. Save $400 - $500 - $600 on a, SST TurboSystem purchase, discounted from what is already the best price in the business! 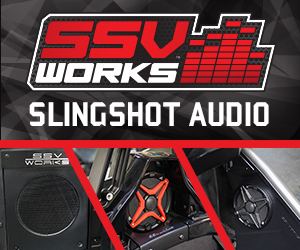 Save also on all we offer for Slingshot, including our popular Hahn/QA1 Spherical Coilovers. Save away, click away, but don't you dare stay away, because at this pricing the deals won't last long. Supplies are limited, and once we hit our targets, it's over. Just dive in, use discount code "BOOSTOBER" when you check out, and save like crazy! Any questions, just hit me here on the thread or PM, email sales@hahnracecraft.com, or call 352-486-2195 8-5 EST M-F.
Edited once, last by Bill from Hahn RaceCraft ( Oct 9th 2016 ). @bubba buddy......what did you buy????? Received and email today that my goodies are out for delivery, you guys rock!